Still thinking Hijab Day can be held on a special date (1 February) only? Wrong! 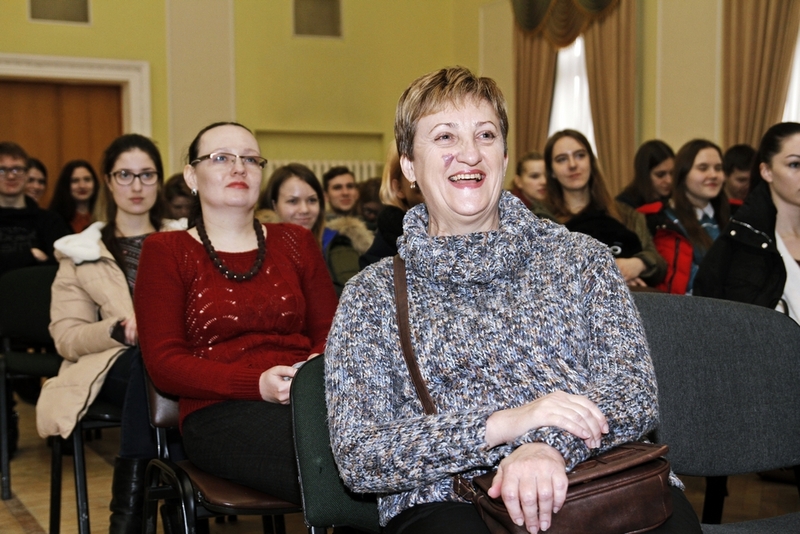 A themed event at Vernadsiy National Tavrian University was held on 13 March. 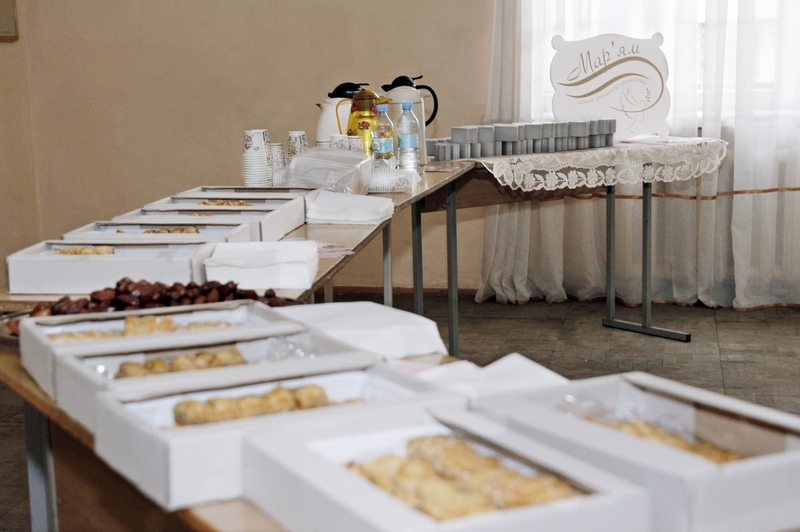 Activists of Women’s Social Organisation “Maryam” accepted the invitation extended by the University administration and eagerly met the students. The educational institution’s staffed wished to provide their youth with an opportunity to meet people of different religions and cultures firsthand in order to form an adequate opinion on facts and personal impressions, not stereotypes.Besides, meeting people of different views alway stimulates creative thinking. Sources of inspiration at the event were, indeed, in plenty. 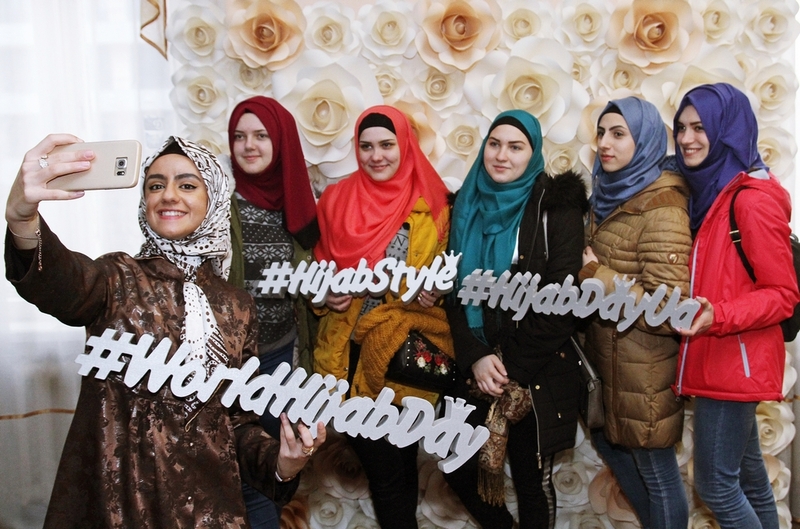 The attendees were offered interesting lectures on hijab (which is, on the contrary to the popular misconception of being a specific term to define a specific way of styling a somewhat uniform headscarf, a general set of rules that overall women’s dress. Head to toe, must comply with) and centuries long tradition of Ukrainian women’s headwear, both kerchiefs and headscarves, with many of them would do as a proper hijab. The practical part included master-classes on styling kerchiefs and headscarves in a variety of ways, mehendi and orientsl sweets. The students can take their hijabee picture against the special flower-themed background, holding 3d themed hashtags for the occasion.